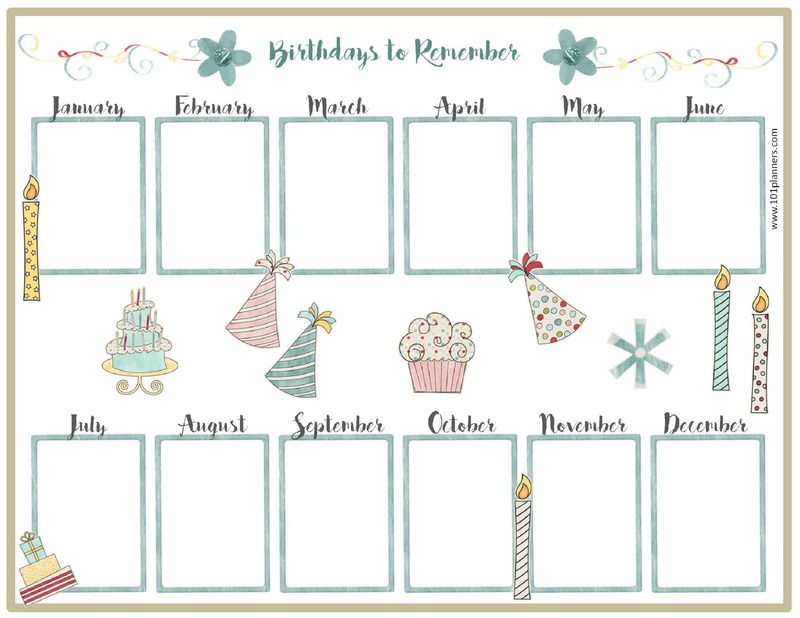 Select a birthday calendar template from the selection below and click on “customize” to type in the birthdays. Then click on the “A” (add text) button. Move the text until it is on the correct date. You can also make the text bigger or smaller. If you prefer to fill it out by hand then just print a blank template. The half size fits in a half size planner. 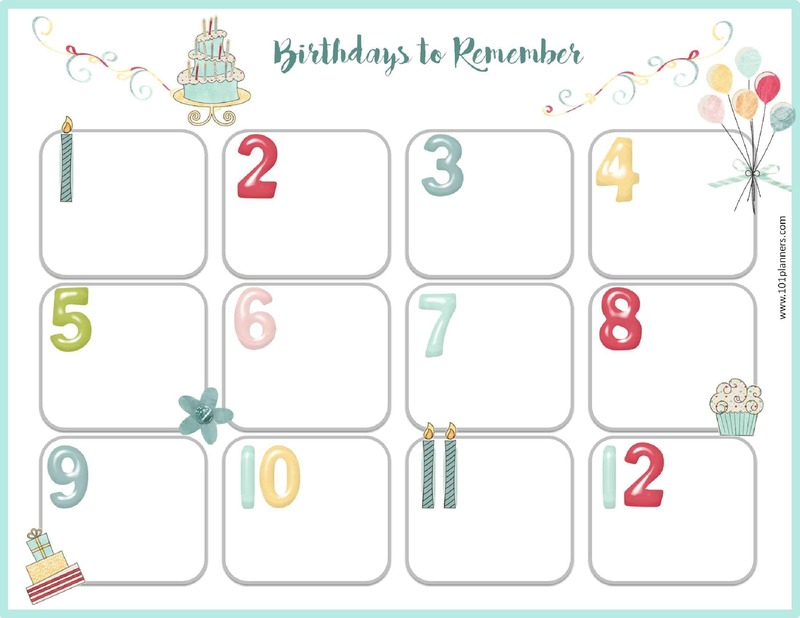 To make the half size, click here, and then click on inserts and then birthday calendar. Not sure what size you need? See planner sizes. 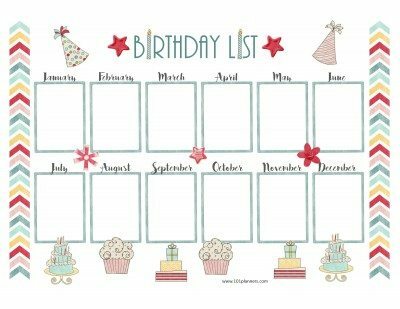 In addition to the birthday calendars below, we also offer a birthday list. 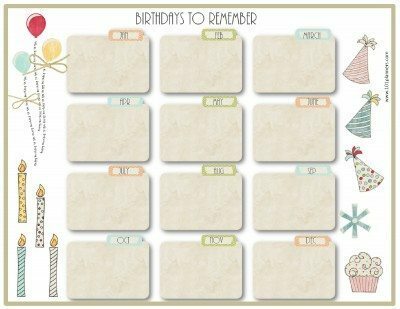 Full SizeUS Letter: 8" X 11" Half Size5.5" X 8"
The following birthday calendar template is on 3 pages with four months per page. These free printable birthday calendars will ensure that you don’t forget another birthday. If you want to create a monthly birthday calendar for one month only then open our calendar maker and select any month. 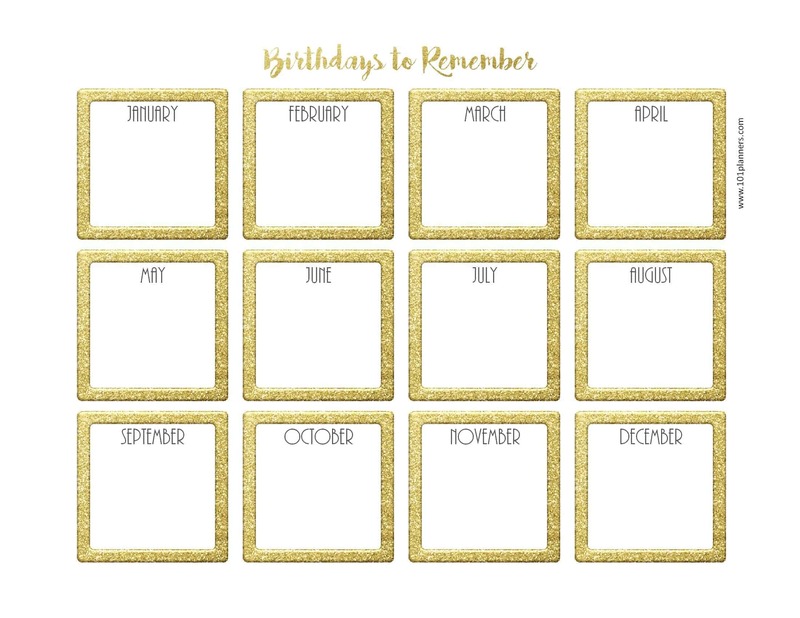 You can add birthday and party icons to the template. At home to record the birthdays of family and friends. At work to remember your co-workers birthdays. You can either just remember to wish them a happy birthday or maybe have a little party for them at work. At school to record the birthday of classmates and teachers. 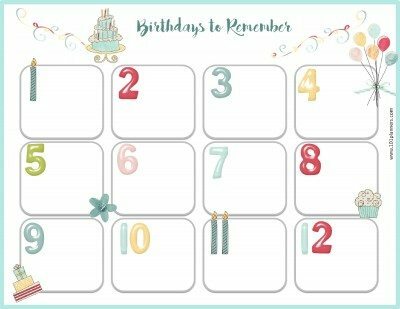 At kindergarten or preschool to keep track of each child’s birthday. 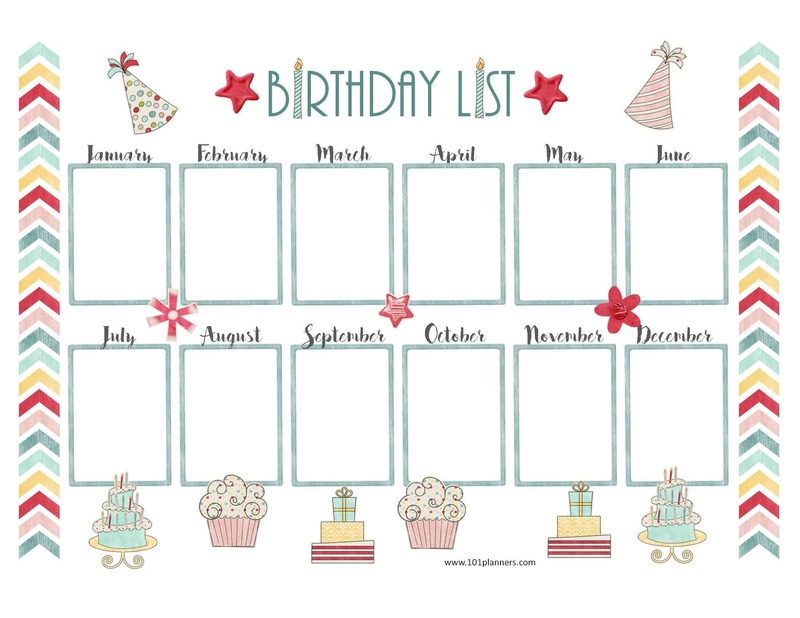 Create an employee birthday list template by adding your logo to any of the lists. To add a logo, select the template and then click on “Add Image”. Drag your logo to wherever you would like it to appear. When I click on the calendar it just opens it in a new tab. I don’t see any options to customize no matter what I do. Can you please help me? Thank you….these are SUPER cute! Becky, thanks for letting me know that there was a broken link. I found it and fixed it. It appears the link still isn’t fixed. I double checked them all and they all work. Can you please let me know which one isn’t working for you. 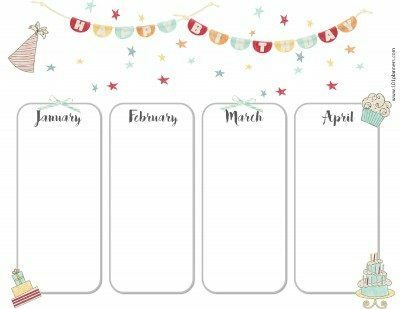 How do we edit your planner? You’re idea is great but it is much better if we can edit like typing names and date of bdays. 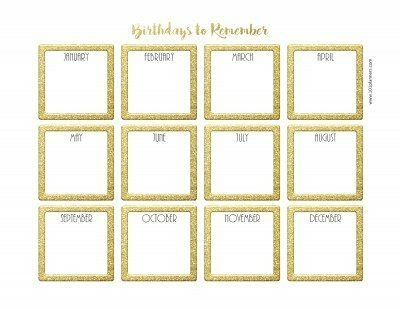 I like the best template #3 cos I can type names and dates, but would be great if I can type it instead and can choose font size. 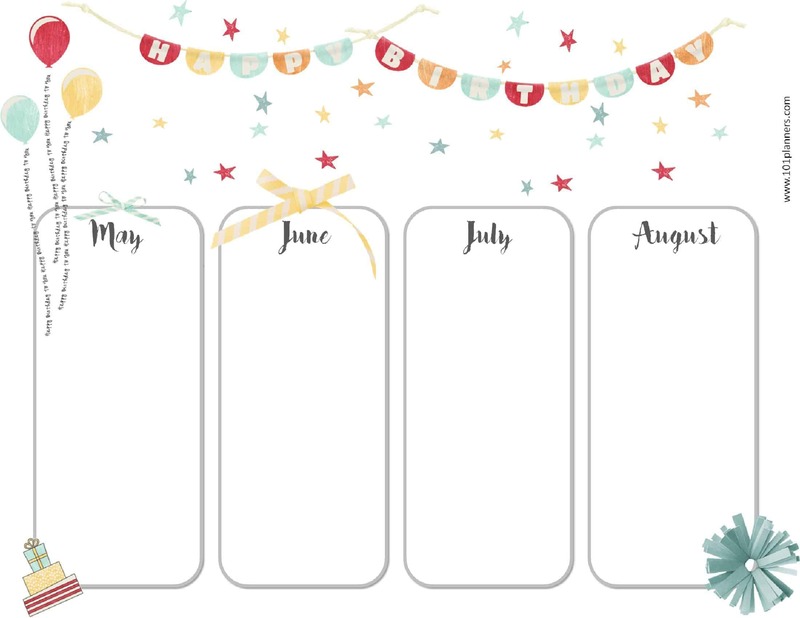 You should be able to type the names and dates of birthdays on all of the templates. Just click on “Customize & Print” and not on the template itself. 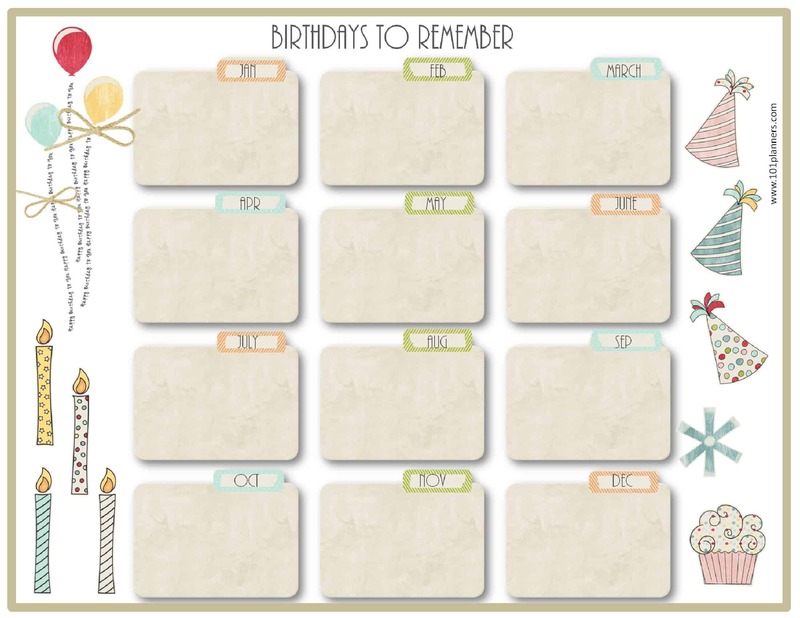 Is there a way to use these for digital planners? No, sorry there isn’t. You can put them on the fridge, in your office or on the back side of your closet door. 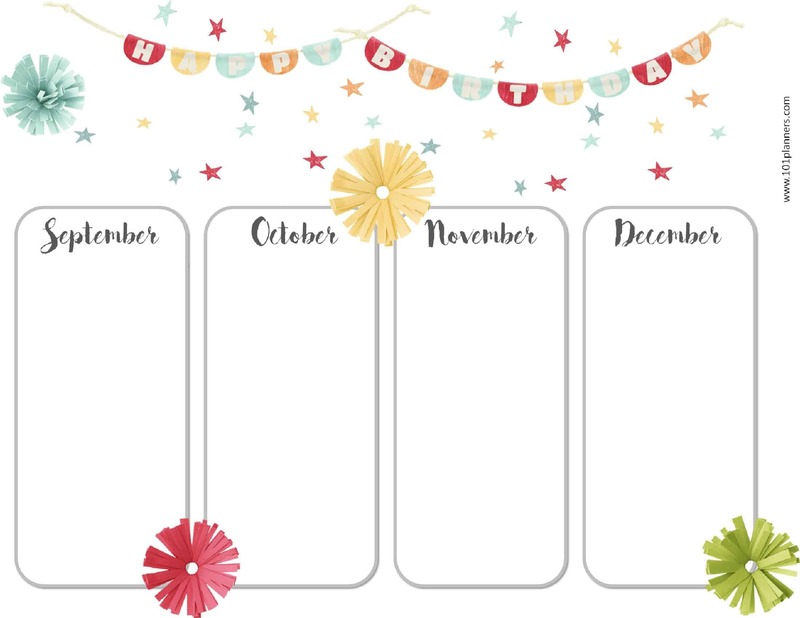 i couldn’t find a link to create the calendar… is it still up?? Yes, it is. I made is clearer by adding less options. I hope that it will be easier to find now. 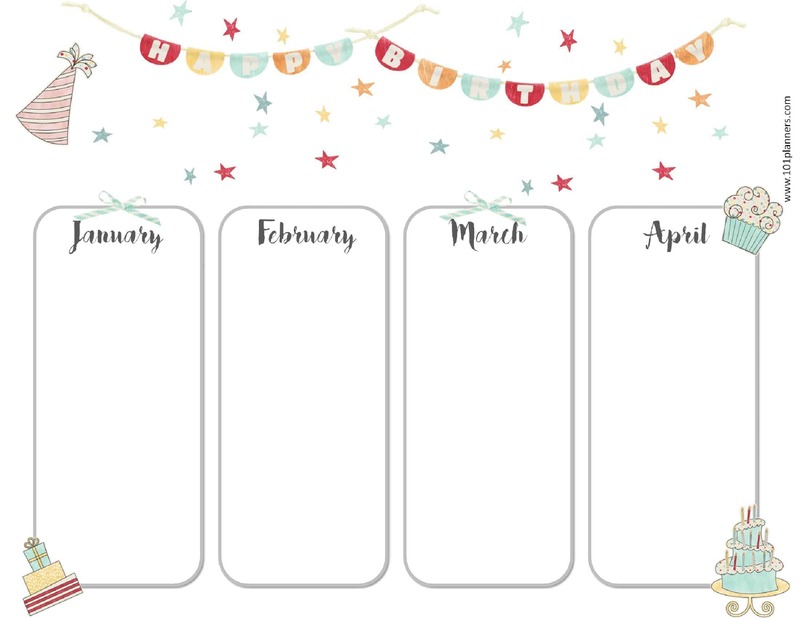 I’ve tried to open several of the birthday calendars but am having no luck being able to add names and days let alone print. I see the tab for download but there is nothing on these calendars that allows me to add my info. What am I missing? We were unable to replicate the problem. 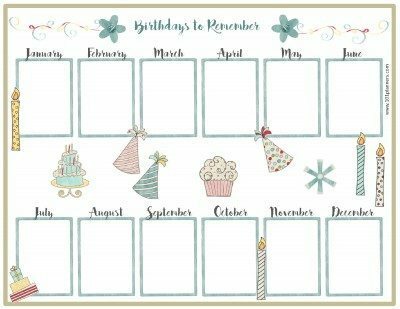 Please send a link with the calendar that you were trying to customize. Are you on a PC or a mobile phone?